Cary Joji Fukunaga’s latest venture in television gets a teaser that shows off its all-star cast and warped mind games. Netflix’s Maniac has been shrouded in secrecy for a few months now, but the streaming network dropped the first tease. We knew there was a great cast, including Emma Stone and Jonah Hill, but was this going to be a comedy or a drama? 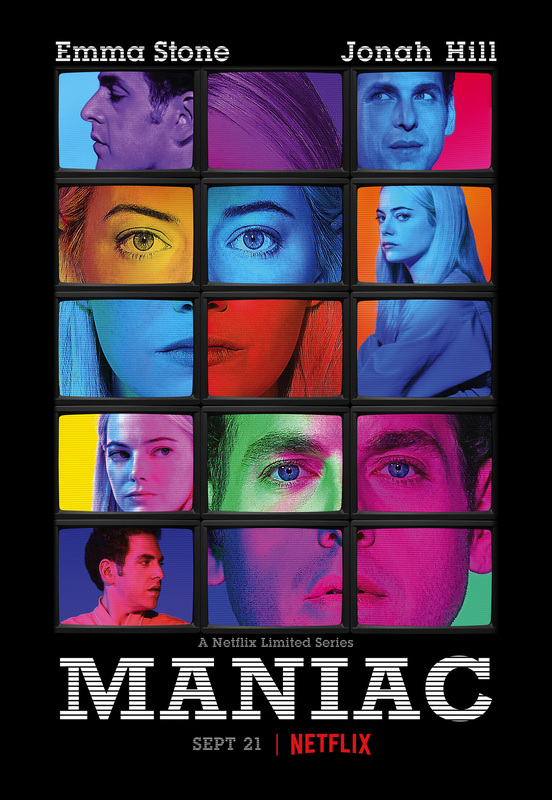 What exactly is Maniac? Stone and Hill re-team as two people who are convinced that they have something wrong with their minds. They join a drug trial headed by Justin Theroux, but is that actually what it is? Is he treating their minds or exploring them? All I know is that Sally Field shows up in Edna Mode glasses and a large-collared, red coat, and I am in. The tease has a sinister mood to it, but there are tinges of dark humor spread throughout. There is also an Eternal Sunshine vibe to it as well. Stone and Hill look like they are transported to different folds of the mind, and that production design feels intentionally hokey and dramatic. Future Emmy contender? Maniac debuts on Netflix on September 21.